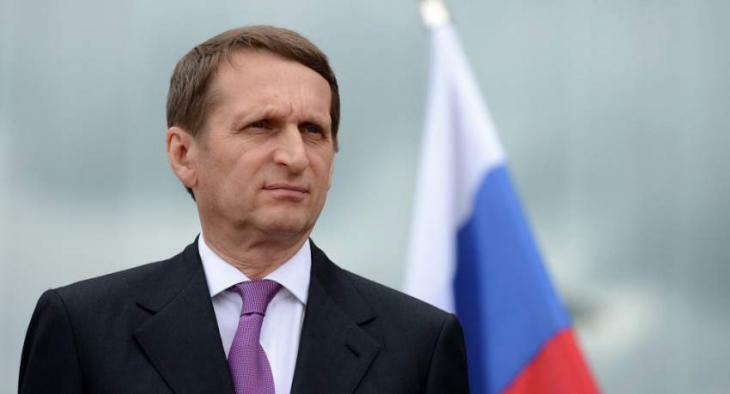 MOSCOW (UrduPoint News / Sputnik - 17th April, 2019) The Russian Foreign Intelligence (SVR) has quashed speculation circulating in the Russian media about the possible appointment of its Director Sergey Naryshkin as the Federation Council speaker, SVR spokesman Sergey Ivanov told Sputnik. Russia's Kommersant newspaper reported on Wednesday, citing sources in government agencies, that Federation Council Speaker Valentina Matviyenko might leave her post in the coming months. The most likely candidate to replace Matviyenko is Naryshkin, the media outlet claimed. "The rumors published by the Kommersant newspaper today are unfounded," Ivanov said.